Sorry for the late post again guys. Looking after a child is not as easy as they portray it in those 80s and 90s films like 3 Men and a baby or Kindagarten Cop, although i am not without fault at some point i was distracted by the PS3 with Metal Gear Solid: Revengence. So straight to the WCW. 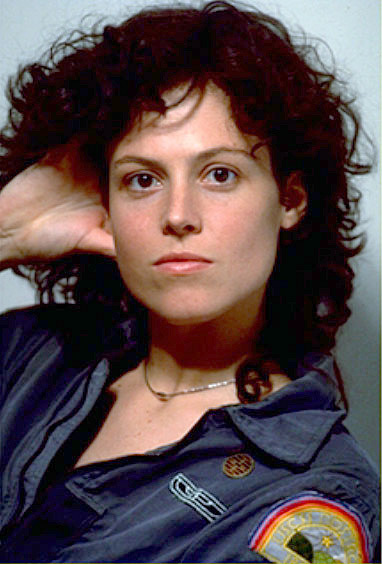 attention long after the dust has settled on the battlefield (there is still that tiny bit of hope that prays the spartans will beat the persians in 300) so for my woman crush wednesday i have chosen Lt. Ellen Ripley as portrayed by Sigourney Weaver. Her battles with this species across space and time show qualities that should be seen in all women. heads she has expressed her fear and reluctance to face this monster again. Her pleas falling upon deaf ears sets up the laws of her being the final girl once again. With the majority of her crew eventually being taken out, it comes down to a final battle which brings a new meaning to the term mano a mano. They both know each other and have both lost things which are dear to them this battle is more than simple male pride. This is a battle of the more deadlier species a protective mother. (Newt). All of these qualities which she portrays: strong mother, strong woman, strong wife make her my WCW woman crush Wednesday. 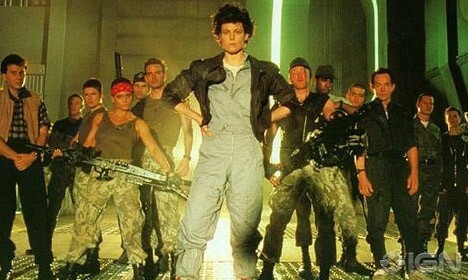 Lt. Ellen Ripley i salute you. Next Next post: Throw back back Thursday.